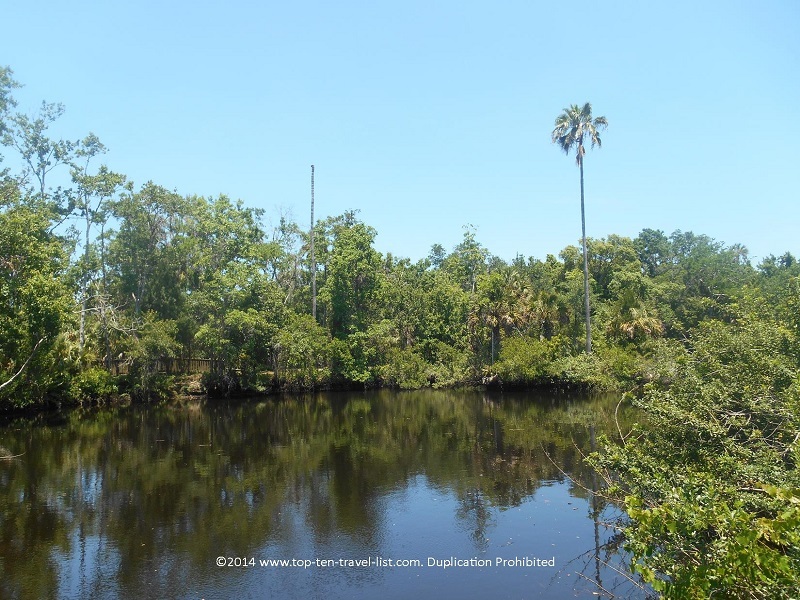 A Florida Gulf Coast Gem: James E. Preserve in New Port Richey - Top Ten Travel Blog | Our experiences traveling throughout the US. 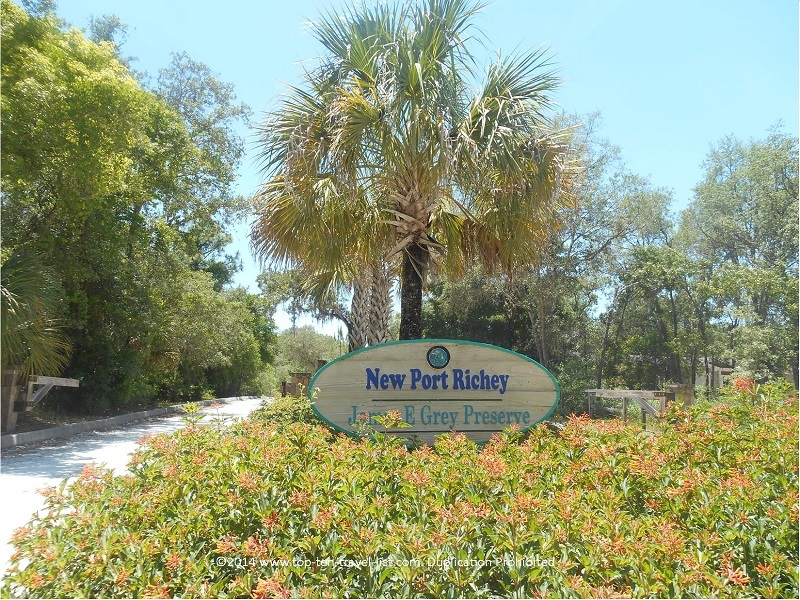 New Port Richey’s 80 acre preserve is home to over 140 different species of birds. The James E. Grey Preserve is a fantastic place for wildlife viewing. Deer, manatee, wild boar, and turtles are common. 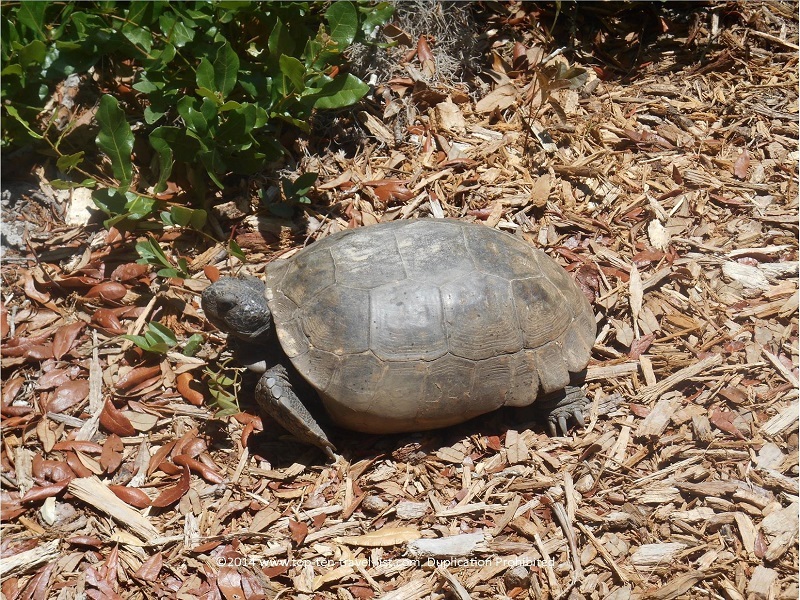 On our recent trip, we saw several turtles walking along the paths. These massive turtles, pictured below, are found throughout Florida parks during the summer months. We have encountered these turtles on every hike/nature trail in the area thus far. 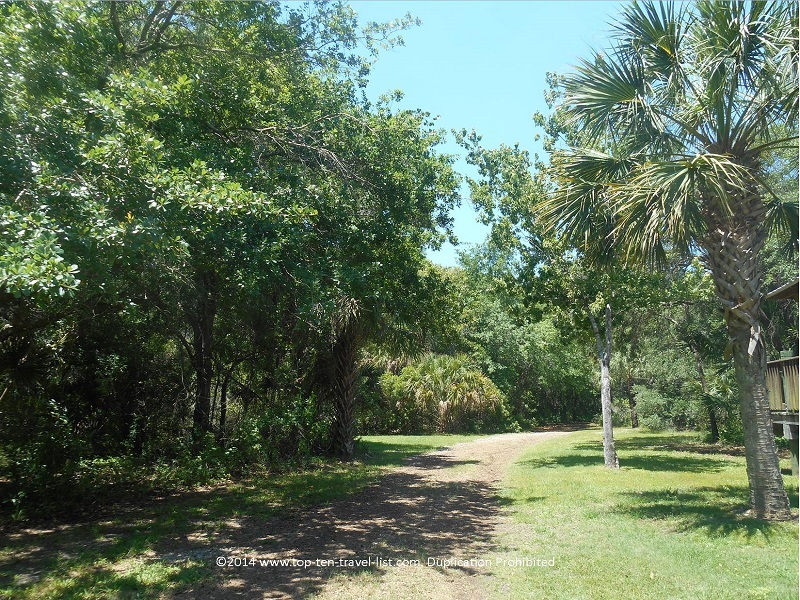 This oasis is a peaceful escape from the strip malls found throughout Pasco and Pinellas county. 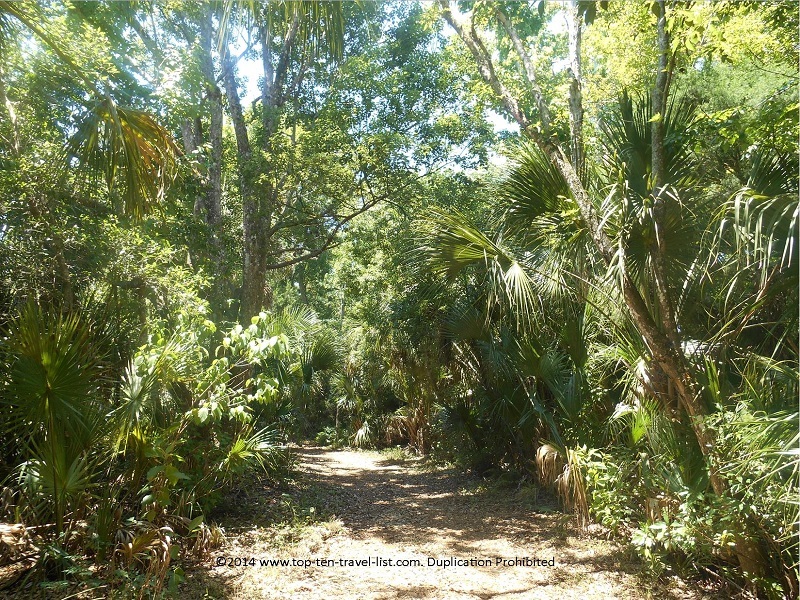 Mike and I enjoyed walking the trails through the uninterrupted Florida wilderness. Walking around viewing the exotic plants and breathing in the fresh air was a nice change of pace. 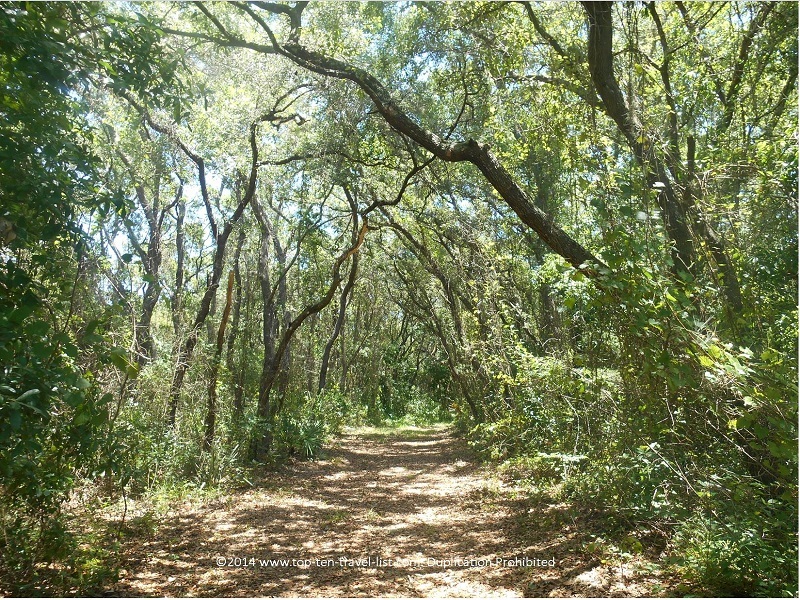 There are 2 miles of hiking trails within the preserve. 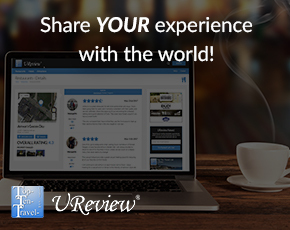 Take a look at some of the beautiful views captured along our walk. 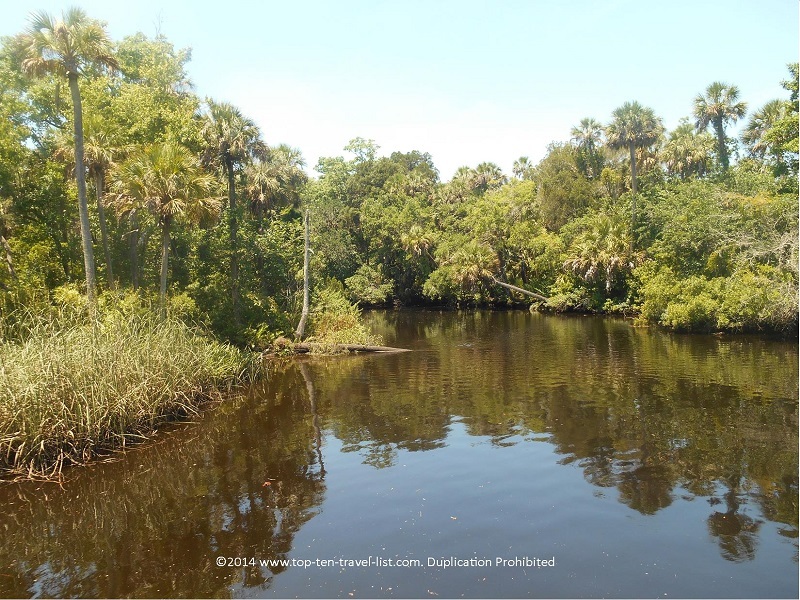 The James E. Grey Preserve is located on Plathe Road in New Port Richey, Florida. There is no entrance fee. Plenty of parking spaces area available. 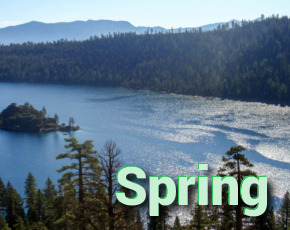 Other amenities include: picnicking facilities and a canoe launch. 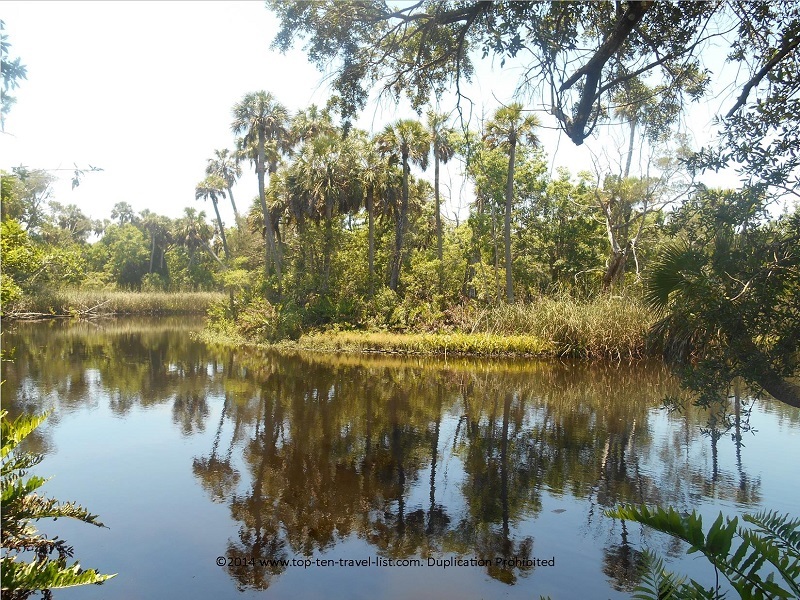 Have you ever visited James E. Grey Preserve? 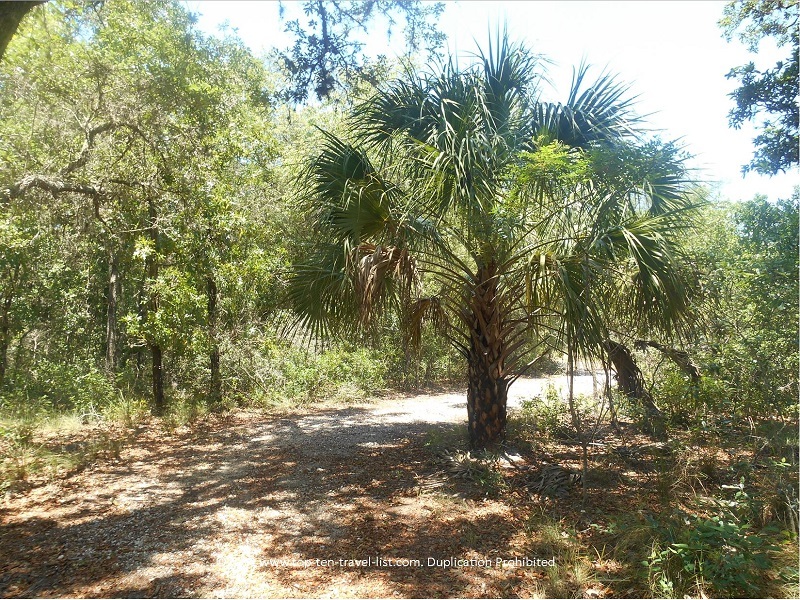 What are some of your favorite hiking trails in the Pasco County area?